← It’s simple — just teach the 6 virtues! The primary purpose of The Six Virtues of the Educated Person (TSVOTEP) is to start a philosophical discussion about what it means to be educated. The book describes the definition promoted among today’s policymakers (achieving high standardized test scores); and then it argues for a definition that is rooted in philosophy instead of politics. I make several arguments in the book. The most basic one is that efforts to improve education will continue to be unproductive for the same reason they have been unproductive for the last fifty years — we have not defined what it means to be educated. The five-element model introduced in chapter 1 illustrates the integrated nature of how public education works. The elements are (1) a core belief, (2) a system of governance, (3) a set of purposes (identified by those who govern), (4) an organizational structure, and (5) an improvement paradigm. 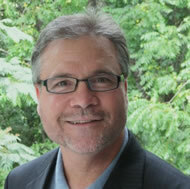 Teachers, parents and students are marginalized in all five elements of our current model. Chapters 8 and 9 argue for the aesthetic nature of education and for a philosophy of education based on the idea that humans have both an uneducated nature and an educated one. Infants become two-year-olds who are ignorant, intellectually incompetent, weak, fearful, proud and selfish. 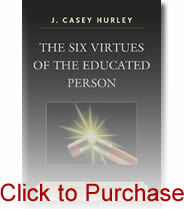 As young people and adults develop the six virtues, their educated nature struggles against their uneducated one. The six-virtue definition of the educated person is based on several premises. One is that we educate our young to make the world better. This should be the primary purpose of every school because an educated (virtuous) human nature makes the world better, just as an uneducated (vicious) one makes it worse. Another premise is that public schools are driven by a political core belief, and parochial schools are driven by religious ones. The result is that schools teach the virtues of understanding, strong character and generosity (because these don’t threaten political or religious beliefs); but they fail to teach imagination, courage, and humility (because these do threaten political and religious beliefs). Neglecting these virtues means K-12 graduates have understanding that is unimaginative, strong character that is fearful of truth, and generosity that emerges from pride. Society desperately needs citizens who have developed all six virtues, instead of three virtues and three vices. A third premise is that, although we can separate the virtues and vices in discussion, they are inseparable in all human situations. This premise recognizes the integrated, infinitely complex nature of human life. A fourth premise is that the six virtues form a comprehensive foundation for all others. If one were to build a brick wall of virtues, the “bricks” of understanding, imagination, strong character, courage, humility, and generosity would form the bottom row. All other virtues are combinations of these foundational ones. The last chapter looks at situations through the lens of the six virtue definition. It asks readers to remember times when they were in situations that were improved because some of the six virtues were brought to bear. Website visitors can share an improvement story by going to “Email Casey Hurley.” Simply provide a phone number I can call, so I can take notes about your story and consider it for inclusion in the next book.